In July I’m looking forward to speaking at a couple of churches in Atlanta for the first time. 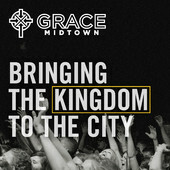 On 20th I’m at Grace Midtown, then over the next three days teaching with an intensive discipleship school they have running. Then the following Sunday I’m at Grace Snellville.